Can you spot the change in the 2019 iPhone models? The 2018 iPhones aren’t even out yet and we already have our first rumor about next year’s models. If you’re hoping for big changes in the 2019 iPhones, better temper your expectations. 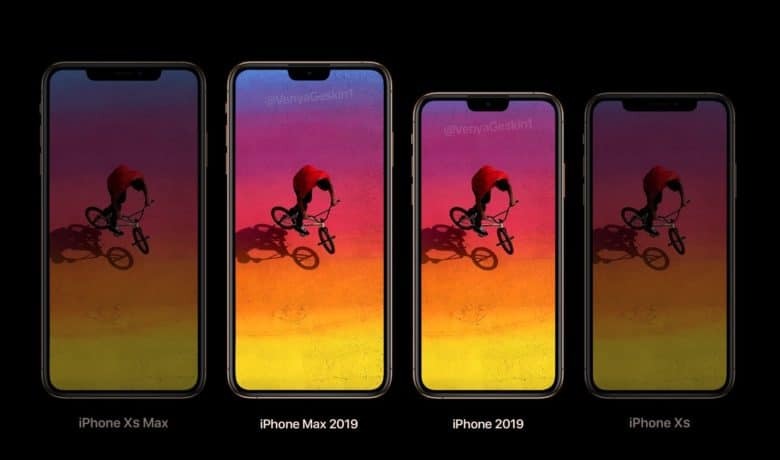 It seems the next-generation of Apple handsets will include displays the same size size as this year’s iPhone XS and XS Max. But there reportedly will be one significant difference. One that many people will like. Realistically, Apple can’t increase the size of future handsets very much. They current versions already draw complaints for being too big. The next hope for a significant size increase is a folding iPhone. However, the image Geskin included with his Tweet reveals an upcoming change. The 2019 models will apparently have a much smaller screen cutout — AKA notch — than their predecessors. The leaked image shows the screen cutout being the same height but about half the width. The 2018 version includes a camera, a phone speaker, and the Face ID scanner. It’s not clear what might change to allow a significant difference in size. Apple is unapologetic about the notch, but also did everything it could to hide it in the iPhone XS and XS Max. This unconfirmed report says nothing about the iPhone XR, the 6.1-inch model that’s coming later this fall. The most likely reason for this omission is that the ultimate source of Geskin’s information just doesn’t know whether Apple plans to change the screen on next year’s version of the XR.